Thanksgiving. We were just about to leave for a family hike when the phone rang. It was the hospital calling my husband into work. The sun was bright, the air was crisp and the red and gold trees were breathtaking. I wanted to be outside with my family, all of us together. Instead, I found myself maneuvering through traffic, a disappointed husband beside me and two children crying in the back seat. It wasn’t until I was on my way home from the hospital that it hit me. What if we took some time to make a “thankfulness tree”? We could put it somewhere prominent where it could serve as a visual reminder to “be thankful in all circumstances”. As soon as we got home, I bundled up the girls in the stroller and we headed off to the park to collect sticks for our tree. We had such fun at the park. 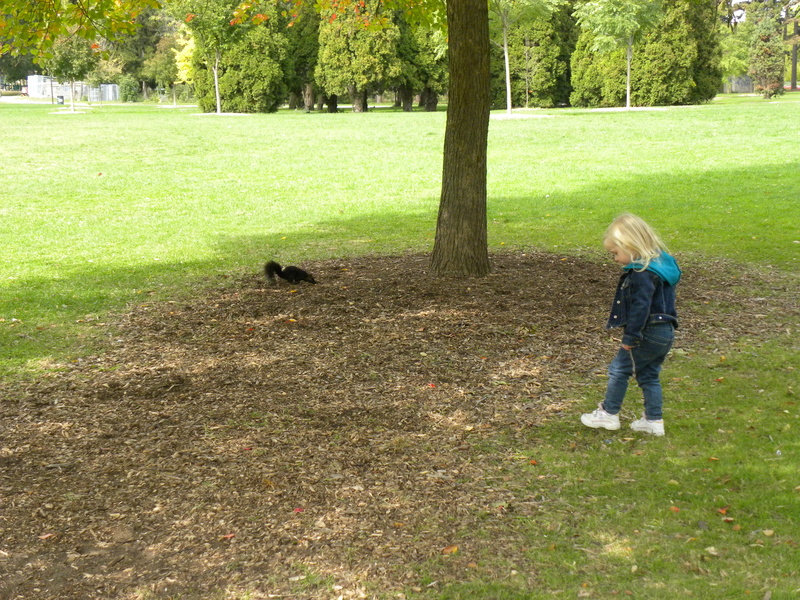 My toddler and I looked for sticks, crunched in the leaves and chased squirrels (well, she chased squirrels). My one-year old watched us, smiling and babbling at our antics. 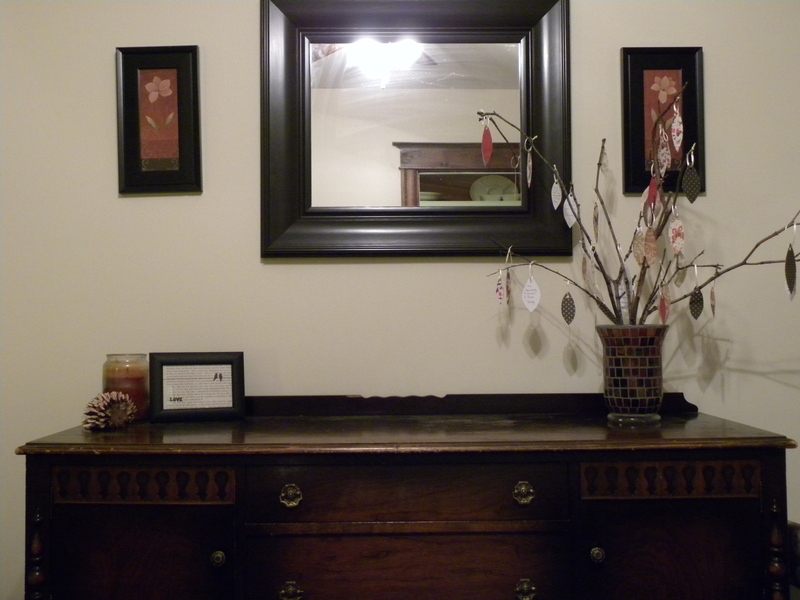 When we got home, I arranged our sticks in a vase. 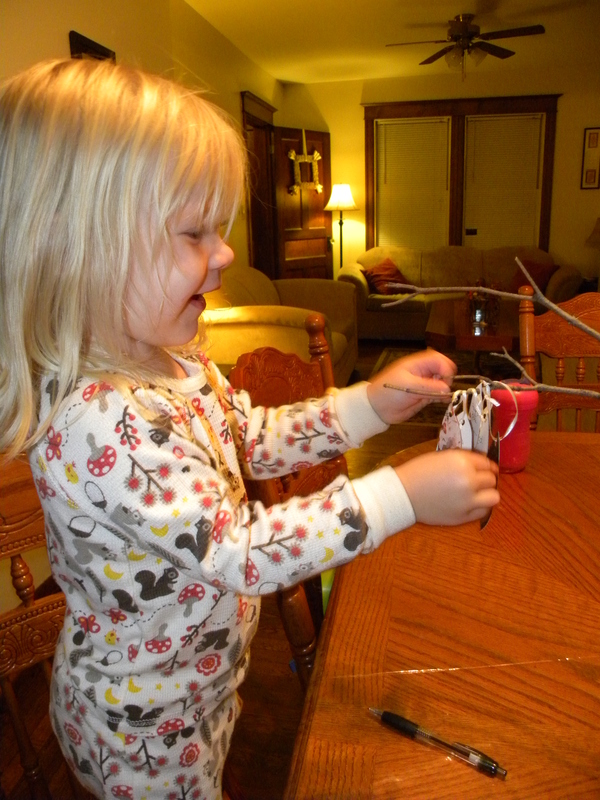 While the girls napped, I cut simple leaf shapes out of decorative paper and tied them to ribbons. 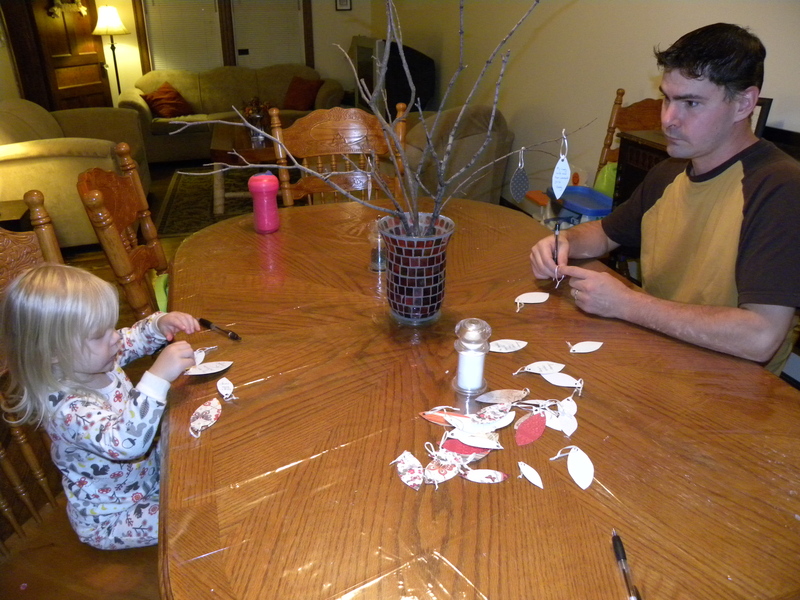 In the evening, after my husband returned from work, we sat down at the table and wrote on the leaves. Each leaf a blessing. Blessing after blessing. Leaf after leaf. They hang there, beautiful, symbols of gratitude. The tree, too, is a symbol. The branches were barren, blown down by the wind, useless. But now they also have purpose and beauty. They are barren no longer. 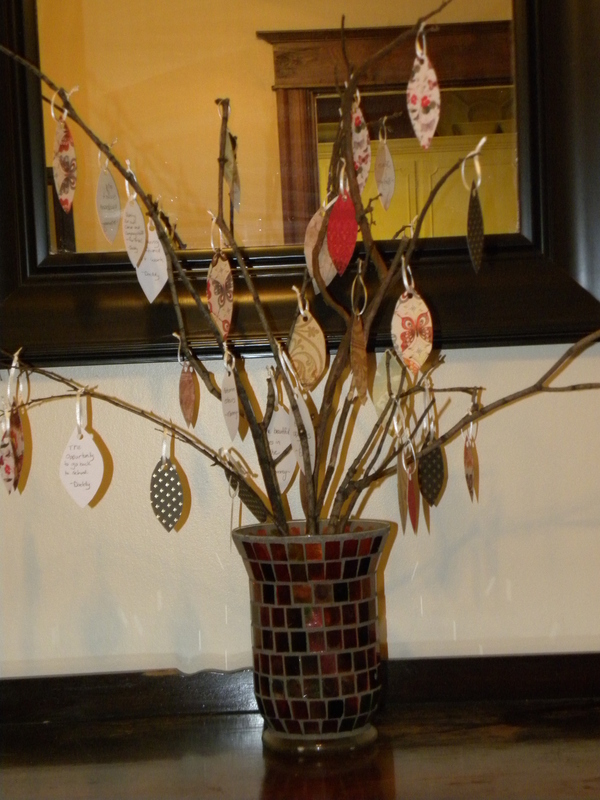 The Thankfulness Tree serves as a reminder that God always brings beauty to the barren times of life. Even when things don’t turn out the way we expect, God is still good.